We loved hearing your voices in our 100th episode and are thrilled to answer more listener questions this week. 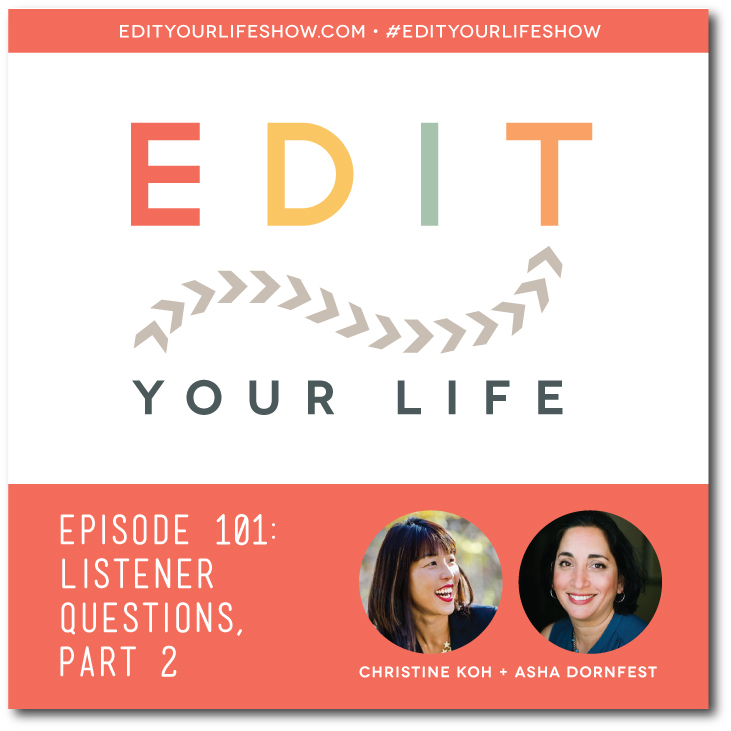 In Episode 101 of Edit Your Life, Christine and I tackle questions related to dealing with negative work mojo, setting and re-evaluating priorities, and the challenges of being in the sandwich generation. As we’re approaching the end of the year and a point of reflection/evaluation, what would you most like to edit out of your life in 2018? Join the discussion on the Edit Your Life Facebook page (look for the Question Of The Week post pinned to the top of the page).